As speakers get more expensive, they generally get bigger, go louder and deeper and often get easier to drive. Well here’s a speaker that bucks the trend. 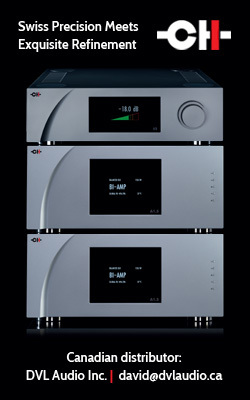 The $15,395 X1 and its bigger brother the X2 ($20,695) are high end Canadian speakers of compact dimensions, aiming for high transparency and excellent imaging through the use of the highest quality components and fabrication techniques which are very expensive to implement. You’ll pay good money and end up with a small exquisitely crafted speaker that really won’t do for head bangers but might fit a different audience to a T.
So what goes into the X1 to make it so special? In some respects, Lafleuraudio isn’t saying. They believe they are onto something good here and not unnaturally, they want to keep that advantage for themselves and their customers. So although I’ve seen the insides of these speakers, I’m sworn to secrecy there, and they wouldn’t even tell me the configuration of the all important crossover. What they did tell me was that the crossover components are distributed within the box rather than being all in one place as in standard practice. 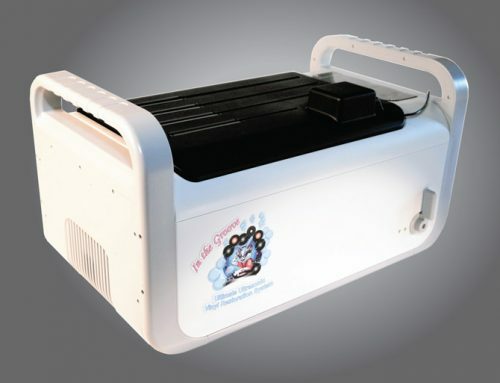 The components are positioned between the insulation pad and the cabinet so as to avoid any possibility of vibration. 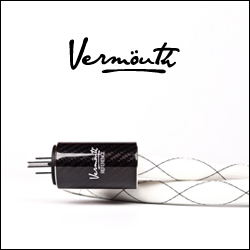 One of the benefits of this technology is to reduce the wire length between the crossover and the transducers. The most obvious aspect of design is the cabinet construction. Most manufacturers use MDF board, a few use HDF, some use aluminum or steel, and a few expensive speakers will use carbon fibre in the cabinet construction. 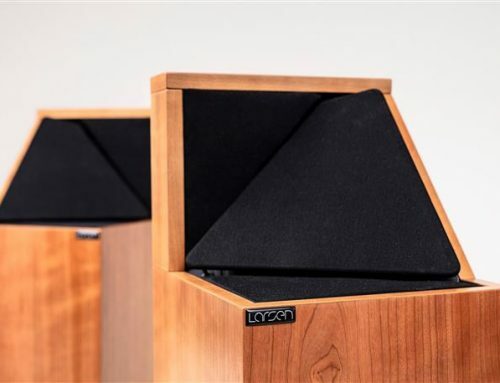 To build the cabinet, Lafleuraudio bonds together multiple very thin laminations of wild Russian Cherry wood, grouped into nineteen vertical sections. Eight vertical aluminum rods hold the laminations together for the highest structural rigidity. This labour intensive process requires very skilled craftsmen. 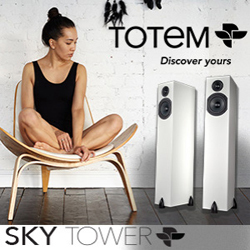 A similar technique is used in the wonderful Magico speakers, at an even more elevated price point. The horizontal profile of the speakers employs an exponential curve to eliminate internal standing waves. This gives them a most attractive look in addition to the sonic benefits. Internally there is additional bracing, and while I would have expected this bracing to be composed of additional wooden beams, it is in fact integrated into the cross sections of some of the wooden plies that comprise the exterior walls. Front and rear baffles of the same Russian Cherry wood are isolated by a rubber suspension from the main cabinet and then tied together under compression by a Y-shaped aluminum rod. Although we don’t know much about the crossover, the drive units are on display and are instantly recognizable as Scanspeak Revalators. Lafleuraudio has chosen a dome tweeter rather than the alternative ring radiator. This choice gives a wider high frequency dispersion, providing a stable image over a wider range of sitting positions. 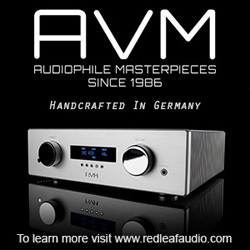 Lafleuraudio’s Andre Labbe tells me that Scanspeak’s quality control is so high that there is no need for component selection at their end and they have required only minor modifications to the Scanspeak drivers for this implementation. 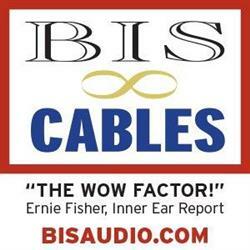 The bass/midrange driver is a 5″ device and the tweeter measures 1.5″. 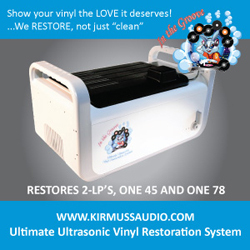 The speaker is vented in the base and measures just 14″ high, 17″ deep and 1″ wide. 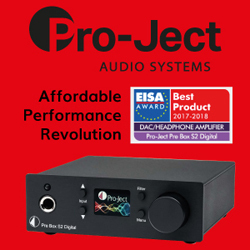 The speaker is set for single wiring only, and features the latest WBT Next Gen connector, which they regard as the best on the market. While rated at 8 ohms, you will need a substantial amplifier to feed the X1 since its sensitivity is rated at a low 87dB, and my own experience puts it lower still. In fact choice of amplification and speaker wire may be more significant with the X1 than with most speakers, since it reportedly sounded quite different in two different rooms at the Montreal Show this year. 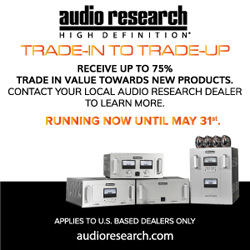 So be sure to try this speaker in your own system before purchase. The bigger X2 speaker, still stand-mounted, uses three drivers for a more powerful bass and improved sensitivity, and should prove easier to drive. The thickness of the cabinet walls contributes to the speaker weight of 17kg each. Lafleuraudio offers matching stands. For my tests I used Target stands with a top plate supplied by Lafleuraudio to match the wide speaker base to the more narrow top plate of the target stands. Sand or lead weighting is advised. If I were you, I would go with Lafleuraudio’s dedicated stand to get the best possible support. I used a 200 watt amplifier, a Perreaux Radiance R200i to drive these speakers, with Atlas Cables excellent Mavros speaker cable. With this combination the X1 is quite dynamic, belying its size, although it cannot match the dynamics or the bass extension of some of its bigger rivals. There’s only so much you can achieve with a 5″ bass/midrange and a small cabinet. But that is not what these speakers are about. It’s not brute force but finesse, it’s not bass slam but a stable image, a high resolution midrange and a clear treble that designer Emmanuel Lafleur has targeted. The bass actually extends down to 45 hertz, and is quick and clean in the process, but the level starts to drop off sharply below about 52 Hz. 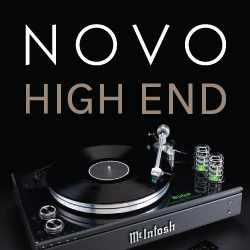 This is much better than those designs which have introduced a strong bass resonance to give the impression of deep bass. What you get in those cases is a one note bass, where it is hard to make out the pitch of the low notes. This is usually accompanied by a boominess and sluggishness that is most unmusical in nature. The right compromises have been made here so that the bass response is still of a piece in terms of transient response and tonality, making it very easy to listen for long periods without fatigue. You might do well to pair the X1s with some high quality subwoofers if you really need the ultimate deep bass response. The speakers succeed in creating a very large listening space so you don’t need to stay pinned to that spot right in the centre of the sofa. On a big piece of orchestral music the treble provides an excellent mix of low distortion and lots of detail and delicacy. Drums and cymbals are clean and fast, without any hint of aggression or spotlighting. I would not describe this speaker as warm. It’s more on the neutral to cool side, leaving the music to speak for itself unlike say a Sonus Faber speaker which is often warm rich and romantic. When the music gets exciting, the X1 keeps up with the dynamics and doesn’t display compression or bloat. This makes for a very satisfying rendition of the difficult Shchedrin Piano Concerto on Hyperion. On smaller scale music like the Holly Cole Trio’s Girl Talk, rich in bass content, this small speaker held its own. An intimate image featuring a pitch perfect plucked bass with strong sustain makes for a relaxed and seductive acoustic. Match this with a fabulous swing and you get a most enjoyable rendition. The X1 does equally well with acoustic blues. 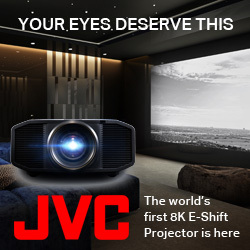 It has power, detail, precise imaging and great rhythms. Even solo piano music, the toughest test for any speaker, holds up pretty well. It has the attack and the dynamics to do justice to Hamelin’s Haydn Sonatas, without overdosing on the strong attack. 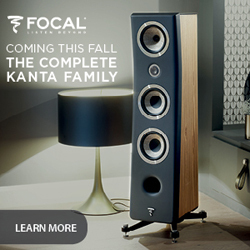 So where do these speakers stand in the galaxy of high end speakers? Who are they for, and who should avoid them? These are tough questions, because the X1 fills a very special niche in the marketplace. You will not be satisfied with the X1 if you like your music on the grand scale. This is equally true of those trying to fill a large space with sound, or those in a more limited space that still want to hear a full range response down to the lowest notes of the organ. The X1 was not designed to fulfill either of these mandates and I don’t know any speaker of this size that can do it. I think the X1 is designed for serious listeners in smaller rooms who prefer to listen to smaller scale music – acoustic instruments, chamber music, especially jazz. 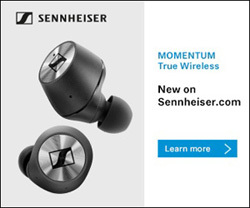 The X1 is also not for those looking for audiophile bargains. It may be a good speaker, even a great one with the right partners and the right music, but we’re talking big dollars here, the result of that labour intensive cabinet. 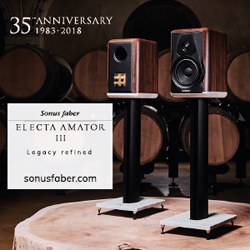 We are also in the territory of some very formidable competition, mostly in the form of floorstanders from Sonus Faber, Magico, Focal, B&W, Monitor Audio Platinum, Quad Electrostatics, Reference 3A Grand Veena, Vienna Acoustics Klimt, Revel and others. All of these are physically larger and have advantages and disadvantages of their own. 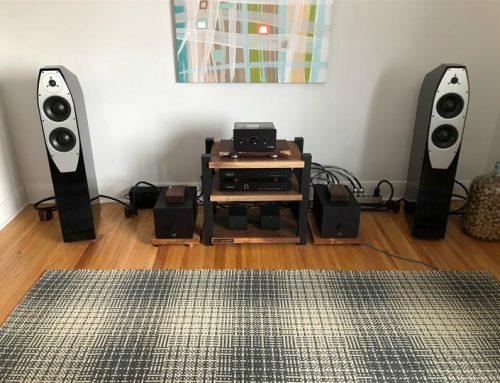 There are very few speakers of the size of the X1 that can really stand up in comparison – I can only think of the Sonus Faber Guarneri Memento at $15,000US and the Magico Mini II at $30,000US). 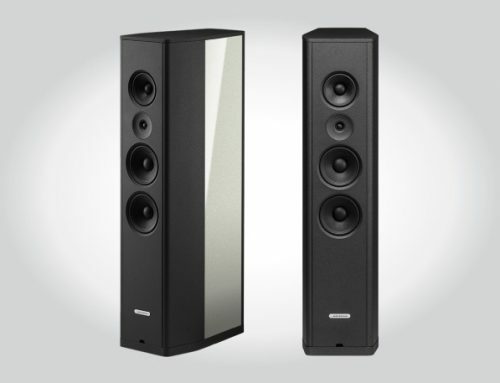 Some of the bigger floorstanding speakers offer higher maximum output, a wider bandwidth, greater dynamics and a wider deeper image and are really intended for larger spaces. If you think the X1 might be for you, seek out a dealer and ask if you can try the X1 at home for the weekend. Listen to a wide variety of music that you like and see if it rocks your boat. 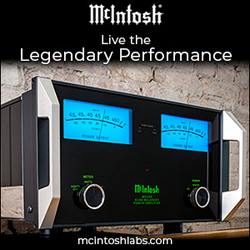 If you like it sonically, I’m sure you’ll like the looks, and the build and component quality means it’s going to last forever. 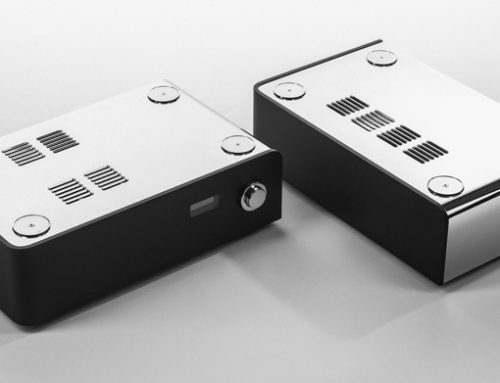 Lafleuraudio offers the X1 in a black lacquer finish or a coffee lacquer finish at a $500 premium. Did I tell you they look gorgeous? Not only that, but don’t you just love it when a new Canadian manufacturer comes along and produces a world beater?